Stash joined TMCS as part of the second student cohort (beginning in 2015), and as a Radcliffe Scholar at University College. "While some aspects of theoretical chemistry were covered in my undergraduate course," he says of his Chemistry degree, "the first year of TMCS was invaluable in giving me the full set of skills needed for my doctoral studies. In addition, it hugely broadened my understanding, covering a wide range of topics across theoretical and computational chemistry." After finishing the initial MSc year, Stash remained at Oxford, working with David Logan. His DPhil is on many-body localisation, a burgeoning field covering the complex interplay between interactions and disorder in quantum systems, and one which challenges the fundamental notions of equilibrium statistical mechanics. 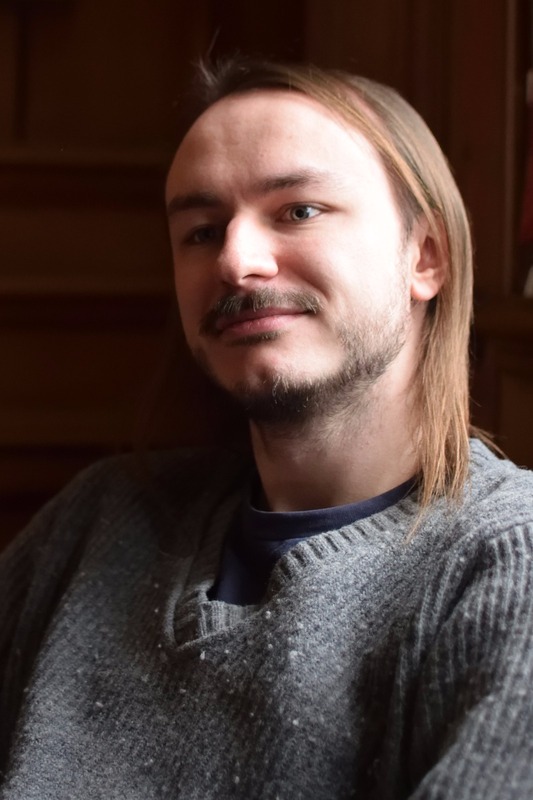 Currently in the second year of his DPhil, Stash has worked on a mean-field theory, elucidating some key details about the nature of the localisation transition, as well as studying the system in question numerically. "Many-body localisation presents many unique difficulties, both theoretical and computational in nature," he says, "and grappling with these has been an extremely rewarding challenge." Together with other members of the 2015 cohort, he also worked on Argon, an outreach app with aims to teach the public about aspects of computational chemistry. The app began life as a 'hackathon' project in the first MSc year of TMCS. "I've loved having the opportunity to work on something very different to my doctoral research as part of TMCS. It's also great to be part of such a broad-reaching educational project, which ranges from the app being enjoyed by young children at the Southampton University Science and Engineering Festival, up to being used in undergraduate-level chemistry lectures." Finally, Stash emphasises the strength of the cohort-based nature of the CDT. "I've hugely enjoyed being part of the TMCS cohort. Not only does it provide an excellent learning environment, with us able to freely bounce questions and ideas off each other, but I've also made great friends along the way.